As they often say, a gentle touch is what works best. 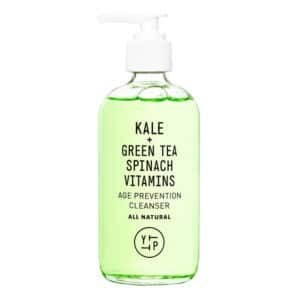 This is especially the case when it comes to your anti-aging cleanser. Research indicates that harsh cleansers can strip the surface, leading to improper pH balance and contributing to the damaging of skin that may result in signs of aging, like fine lines and wrinkles. WHAT DO FACIAL CLEANSERS DO? Properly cleansed skin maximizes the ability for the active ingredients in anti-aging products like serums as well as creams to penetrate effectively. The best anti-aging cleansers are formulated to literarily ‘take off your day’, removing sweat, pollution, clogged pores and makeup without being harsh, over-drying your skin and leaving it feeling tight. 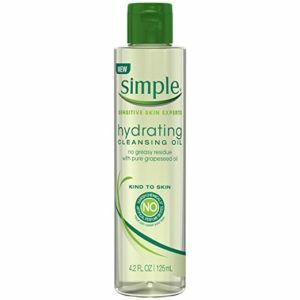 WHAT TO LOOK FOR IN A FACIAL CLEANSER? Falls within the recommended pH level of 4.5-5.5 (the skin’s pH is 5.5) – you can throw off your skin’s pH by using alkaline (higher in pH) products, which over-dry skin, while products that are too acidic can lead to breakouts. For exfoliation, avoid scrubs and instead look for chemical exfoliants – grains in scrubs often do more damage than good as they create small tears in the skin. 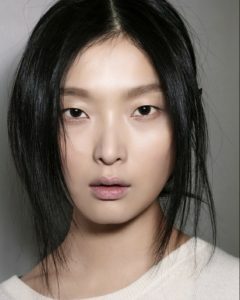 Truth be told, in most cases, ingredients in anti-aging cleansers remain on skin for such a limited amount they have limited benefits – it might be better to reserve these potent active ingredients for anti-aging serums and creams that stay on the skin for long periods of time and allow for maximum penetration after cleansing. Choosing an anti-aging cleanser by your skin type is important to minimize reactions, like breakouts as well as irritation, dryness or oiliness post-wash. Although, keep in mind that your skin might need different cleansers based on time of day (makeup & sunscreen aren’t needed at night) or even seasons (a lighter cleanser may be more suitable for summertime while in winter, you may require a heavier cleanser). A little bit of experimentation is valuable to learn what your skin needs. Though it might seem silly, how can you really tell when an anti-aging cleanser is over-drying your skin? It’s simple: How does your skin feel after rinsing? Comfortable or tight? 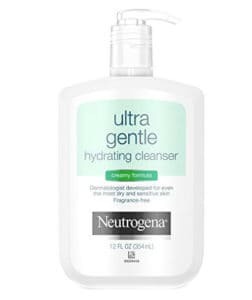 If it feels very tight it might be indicative that this cleanser isn’t a good fit for you. Foaming cleansers are often drying since they get their lather from sulfate-based detergents (derived from petroleum), which can irritate skin. Although we recommend non-foaming anti-aging cleansers, we understand that they aren’t so great for removing makeup and sunscreen; so, if you must go the way of the foaming cleanser, we recommend going with a plant-derived surfactant like Coco Glucoside and Sodium Cocoyl Glutamate, which are much more gentle. Even cleansers that have great formulas may not be able to work effectively with the layers of pollution, makeup, and grime from the day. As an alternative to traditional makeup removers, consider a pre-cleanser for your cleansing regimen. 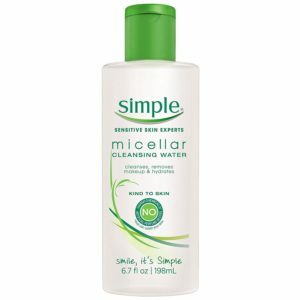 Cleansing water (also commonly know as Micellar water) is similar to toners with its fluid consistency but people may be hesitant about whether it really works. One of the main ingredients – micelles, which are small groups of molecules that surround a formula’s cleansing agents and allow for the distribution of them across skin – prevents over-cleansing and therefore irritation. When micelles are in the vicinity of dirt and oil, they encase them allowing them to be easily removed. Apply to a cotton pad and wipe off. With a cult following this fragrance-free cleansing water is known for not only being extremely gentle but for also not leaving any residue. The formula includes the anti-oxidant, Cucumis Sativus (Cucumber) fruit extract, to help hydrate and soften skin. Although it may remove most types of makeup and sunscreen easily, it does struggle with removing those that are long-wear or waterproof. The cost-effective nature of this mild cleansing water makes it an extremely appealing choice, as does the fact that it is fragrance-free. Key ingredients include Panthenol (B5) to hydrate as well as other anti-oxidants like Niacinamide (B3) and Vitamin C in the form of Sodium Ascorbyl Phosphate to brighten. All in all, the above benefits make for one great formula, though it’s not effective at removing long-wear or waterproof makeup. The non-greasy cleanser is effective at removing oil, grime, and non-waterproof makeup and leaves skin refreshed without a residue. Not only is it relatively cheap, but it is gentle enough to work around the eyes making it a good choice for super sensitive skin. For many of us the thought of putting oil onto our face brings up visions of horror – a greasy broken-out face is no one’s idea of a good time. The reality of the matter is that oils don’t work like that. When using a cleansing oil, it actually mixes in with the oils on your face, either those that are naturally produced or not and when rinsed/wiped, it takes off the impurities without over-stripping the skin. These kinds of cleansers help balance the skin’s oil production while maintaining the natural pH helping to prevent a grease overload. With Water: Take about 1-3 pumps of cleansing oil in your dry palm. Gently massage onto your face, and add water to emulsify. Rinse thoroughly. Some people find that using a washcloth when rinsing helps. Without Water: Take about 1-3 pumps of cleansing oil into your palms and gently massage onto your dry face. Wipe off. Derma E’s rinse-free cleansing oil combines multiple nourishing oils inclusive of Argan and Jojoba to provide skin with a deep cleanse. The cruelty-free formula is not only vegan but also free of known skin irritants like mineral oil, parabens as well as gluten. 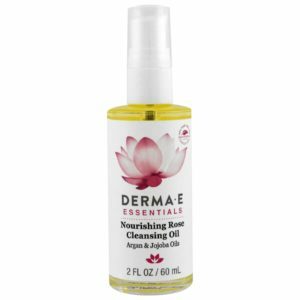 This cleanser blends Safflower Seed and Rose Hip Oil with Squalene in order to create a gentle cleanser that deep cleans and effectively removes makeup, even the long-wear, and waterproof kind. The formula helps to maintain the skin’s natural pH level and the amount of fragrance is limited so it should not be sensitizing. A new take on the standard cleansing oil, this fragrance-free cleanser’s milky texture leaves skin feeling soft and hydrated without feeling greasy. The formula combines plant oils including Avocado, Coconut, Jojoba and Meadow-Foam to nourish and prevent over-drying with anti-irritants like Licorice Root Extract and Green Tea to help sooth the skin. The organic and cruelty-free formula is made from a mix of Avocado, Grape Seed and Jojoba oils to moisturize as it removes product build-up from the day. In an effort to preserve the cleanser’s freshness, it’s made in small batches and the brand offers a lifetime money-back guarantee on returns for anyone who is not satisfied. A straightforward gentle cleanser made up mostly of Grape Seed Oil that easily removes makeup (even the long-lasting/waterproof variety) while not over-drying. The formula is fragrance-free and rinses off without leaving a residue. The notable ingredients, Vitamin A & E, provide a limited antioxidant boost since you only leave it on the skin for a little while. 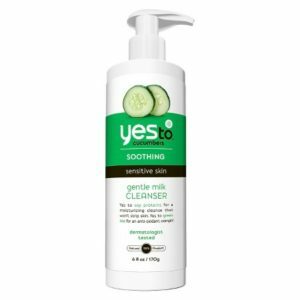 As the title suggests these kinds of anti-aging cleansers are recommended for use on a daily basis and can be used with or without a pre-cleanser. Keep in mind that you want one that will be strong enough to remove all of the gunk on your face without dryness or over-exfoliation. Though cleansing with raw honey may seem strange, it’s actually chock full of nutrients and anti-oxidants, that give it very skin-soothing properties. When picking honey for cleansing, look for the words raw and unfiltered on the labels. Pasteurization (processing) kills off the anti-aging as well as anti-microbial (bacteria-killing) properties. Honey is also very gentle, has emollient properties and is pH appropriate for the skin. Apply 1-2 teaspoons of honey to damp face and gently massage. Rinse of with water. This pesticide and herbicide-free ‘cleanser’ is also organic. Though it may seem sticky, it actually rinses off clean without over-stripping. If you get one that seems to have crystallized, not to worry – this is a natural tendency of honey that often happens in colder months and should not stop you from washing with the product. Often coming in the form of what looks like watered down hair gel, these gentle cleansers have evolved a long way from their predecessors. Rather than being high in drying alcohol, the modern-day versions are often water-based in order deliver hydration effectively and rinse clean without any sticky residue. With water: Gently massage either 1-2 pumps of cleanser or a dime-sized amount onto wet skin. Rinse off with water. Without water: Gently massage 1-2 pumps of cleanser (on average) or a dime-sized amount onto a dry face and gently wipe off with a cotton pad. This fragrance-free cleanser helps protects the skin’s natural defense barrier. 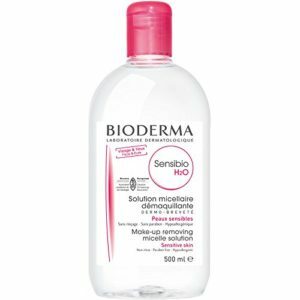 Although it works well for removing normal makeup, if you’re not pre-cleansing you might need to use a washcloth to remove long-wear/waterproof makeup. Notable ingredients in the formula that helps boost moisture include Hyaluronic Acid and Ceramides. 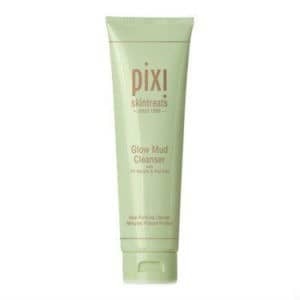 The non-irritating nature of this cleanser makes it a great choice for sensitive skin. The formula cleans well, removing make-up (except the stubborn long-wear/waterproof kind) without over-stripping. Although the formula provides a light lather, it still is gentle and cleans without leaving skin tight or dry, making it a great option for sensitive skin, as well. Notable ingredients include anti-irritants like Burdock Extract, Marigold Extract & Aloe Vera, which help soothe skin, as well as Vitamin E to help nourish. The formula removes oil and makeup and rinses off well, leaving skin feeling soft and hydrated. Youth To The People’s fragrance-free gel cleanser has gained a cult following of skincare enthusiasts in a short time. Formulated with 100% vegan formula removes dirt and makeup without leaving the skin dry. Other key benefits include the lack of parabens as well as the formula not being tested on animals. Unlike the name may suggest, cleansing milk doesn’t usually contain dairy. It is generally much more emollient-rich than gel-based cleansers but lighter in consistency than cleansing balms and creams. It often has a light creamy lotion-like texture and is formulated to leave cleansed skin hydrated. With water formulas: Apply 1-2 pumps or a dime-sized amount of cleanser to damp face and gently massage. Rinse off with warm water. 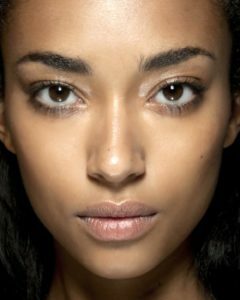 Without water formulas: Apply 1-2 pumps of cleanser or a dime-sized amount of cleanser onto dry face and gently massage. Wipe off with a cotton pad. 100% Pure’s Coconut Cleansing milk is not only cruelty-free but also made without known skin irritants like dyes and synthetic fragrances. The formula combines the power of Coconut oil and milk to combat skin concerns inclusive of dehydration. The rinse-off formula leaves skin clean but without any dryness. This rich cleanser combines ingredients including Meadow Foam Seed and Olive Oil for an intense moisture boost, all while helping protect the skin’s natural moisture barrier. Although it removes most all types of makeup (yes even long-wearing/water-proof) well, a slight residue may remain on skin unless a washcloth is used. This creamy formula is made up of a blend of Olive Oil and Glycerin and provides a thorough cleansing of the skin without over-drying or over-stripping the skin. The cleanser is specifically made without known allergens. Other anti-aging ingredients in the formula include Ceramides to help hydrate, and Chamomile to soothe. Sometimes, simple works best as with this anti-aging cleansing milk. The formula is gentle and non-irritating and won’t leave skin dry or tight. 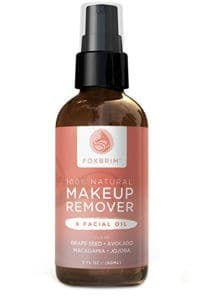 It also works well enough to remove even long-wear/waterproof makeup when a washcloth is involved. 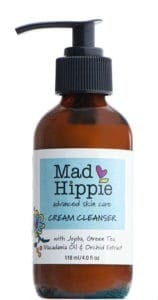 With 98% natural ingredients, this cruelty-free cleanser is able to remove makeup and excess oil while rinsing clean and leaving skin soft and hydrated. The formula includes the anti-oxidant Green Tea to calm the skin. There is minimal fragrance but overall, this shouldn’t be sensitizing for most skin types. The emollient-rich nature of this formula includes ingredients like Meadowfoam Seed Oil to and algae extract to boost moisture and licorice extract to soothe. The cleanser does a decent job with makeup (though you might have a hard time with long-wear/waterproof makeup) and rinses clean. For those of you who may have sensitive skin, the formula has minimal levels of fragrance that may irritate around the eyes – but it’s a rather small amount, so in most cases, it won’t. In terms of daily anti-aging cleansers, cleansing creams are usually among the richest, with high levels of oils and emollients, providing an intense moisture boost for the skin. Not all cleansing creams are actually beneficial for the skin, though – the ones with high levels of harsh surfactants (Myristic, Palmitic or Stearic Acid) should be avoided as they actually interfere with the skin’s barrier and can dry out the skin with long-term use. With water formulas: Apply a dime-sized amount onto damp face and gently massage. Rinse off with warm water. Without water formulas: Apply a dime-sized amount onto dry face and gently massage. Wipe off carefully with a cotton pad. 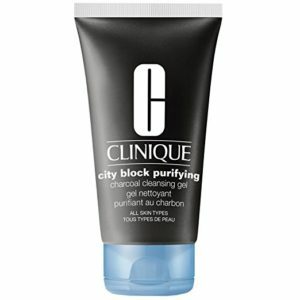 This creamy and fragrance-free cleanser provides gentle cleansing that won’t irritate and rinses of well. The anti-oxidant Pumpkin Fruit Extract nourishes and supports the emollient nature of the cleanser. 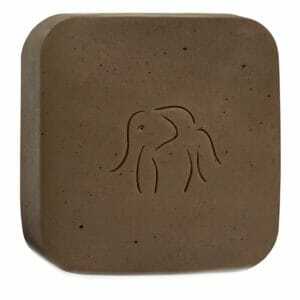 Generally, you won’t need to use a washcloth with the formula and it removes most kinds of makeup (except extremely stubborn waterproof/long-wear kinds). 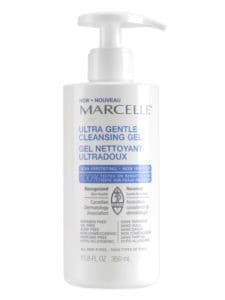 This non-foaming cleanser is unique as it is a cross between a cleansing oil and a cream. It is made with nourishing oils including Avocado, and Sweet Almond. The formula removes all types of makeup, though does have a minimal amount of fragrance that could irritate the most sensitive of skins. Ingredients including Vitamin E (Tocopheryl Acetate) & Vitamin A (Retinyl Palmitate) provide antioxidant power. 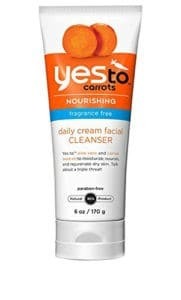 This moisturizing cleanser helps protect and repair the skin’s barrier and is not only cruelty-free but also vegan. The emollient-rich formula includes Shea Butter, Macadamia Nut Oil as well as hydration-boosting ingredients like Algae Extract and Hyaluronic acid (in the form of Sodium Hyaluronate). This lightweight and hydrating formula is extremely gentle and rinses off easily. 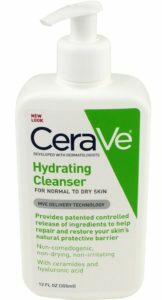 Coming in under 10 dollars, the cleanser is cost-effective but may not remove heavy makeup (especially of the long wear/waterproof variety) without a washcloth or a pre-cleanser. FAB’s cleanser is formulated to maintain skin’s natural acidity levels, leaving it clean, soft without feeling tight. Made without fragrances, parabens, sulfates, and phthalates the cleanser does a good job with minimizing the possibility of irritation and also includes antioxidants in an effort to help protect against environmental damage. Last but certainly not least makeup and oil will rinse clean easily. Busy city life with all of its pollution and stress often leaves skin a little worse for wear and in need of a pick-me-up at the end of the day. With its ability to clean pores and absorb oil, a cleansing mud might be the ideal solution. Clay and charcoal play a big role in the deep cleaning action of this cleanser, giving it the ability to leave skin clearer and ‘detoxified’. Check out our guide, if you’re interested exploring more about the best clay and mud masks for your skin type. With water: Apply a dime-sized amount to damp skin and massage gently. Make sure to avoid the eye area and then rinse clean. 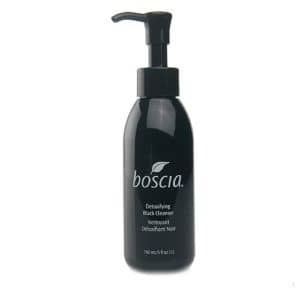 This organic and natural non-foaming cleanser will not over-strip the skin. The formula combines Avocado, Safflower, and Wheat Germ with diatomaceous earth to nourish as it cleans, as well as Hyaluronic acid & Squalane to boost hydration. For those of you with very sensitive skin, there is a minimal amount of fragrance. With its light lather, the refreshing gel consistency gently cleans, leaving skin refreshed and soft. Although the warming nature of the formula may not be for everyone, some people enjoy it. Notable ingredients include Charcoal Powder to absorb oil and Licorice Extract to help soothe skin. The ink black color of this fragrance-free gel cleanser surprisingly doesn’t stain skin or leave a residue. Although the formula provides a light lather, it’s gentle and won’t over dry the skin, while it removes most types of makeup (besides the stubborn long-wear/waterproof kind). SAY NO TO BAR SOAP! Although it’s a large generalization, we recommend avoiding bar soaps for cleansing, as not only are most over-drying and leave skin with a tight feeling, those that moisturize, often use heavy emollients to mask the over-stripping. Truth be told, many bar soaps have an alkaline pH of 9+, which is very high when compared to the skin’s pH (5.5) so they can irritate, as well as lead to long-term damage. Since bad habits are hard to break, here is a healthy option for you die-hard soap bar enthusiasts. With water: Wet the soap bar and rub on hands. Gently apply lather to the skin and massage on skin. Rinse with warm water. Make sure not to apply the bar directly to the skin. This unique bar cleanser is both fragrance- and soap-free and is actually pH-balanced (6.34). The formula will gently cleanse without over-stripping and combines Bamboo Powder and Thermal Mud for extremely gentle exfoliation. The only improvement we wish Drunk Elephant would make is that it has a limited amount of Paraffin – as you know we try and avoid all mineral oil derivatives for their potentially damaging effects. If you’re curious about these kinds of cleansers, check out our guide on the benefits of African Black Soap, another option that has seen a recent increase in popularity. Not just your regular daily face wash – these are anti-aging cleansers that should not be used daily but reserved for when your skin needs some TLC – a good estimation would be 1 to 3 times a week. If you’re interested in learning more about cleansing balms, check out our guide on the best anti-aging cleansing balms. 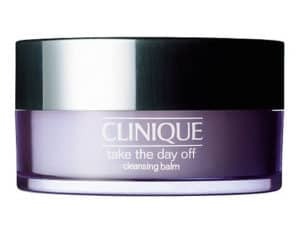 With water: Apply a dime-sized amount of cleansing balm to dry skin and gently massage. Use a washcloth soaked in warm water (a little hotter than usual) and wipe off. This fragrance-free cleansing balm is non-greasy and dissolves even the most stubborn waterproof makeup and helps keep the skin healthy. The simple formula includes Safflower oil and Vitamin E in order to moisturize and rinses off clean without a washcloth. Although pricey, consider this one a luxury treat for truly pampering skin. Made up from ingredients including Hungarian Moor Mud and Almond Oil, it leaves skin replenished and deeply hydrated after cleansing. The formula will remove all traces of makeup without stripping. The minimal amount of fragrance may irritate extremely sensitive skin, but for the rest of you, it should be fine. 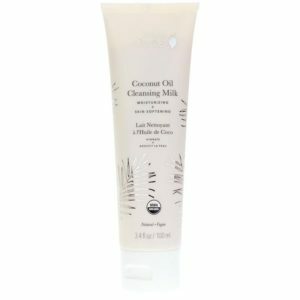 This one uses a blend of skin-beneficial oils including almond, sesame as well as Wheat Germ to boost skin’s moisture levels, as well as jojoba and coconut to thoroughly clean the skin. Other notable ingredients such as MSM (Sulphur) & Zinc that heal as well as soothe the skin stay protected in the tube packaging that limits oxidization damage. 100% Pure’s cruelty-free cleansing balm blends nourishing Avocado & Olive Oils in order to provide skin with a deep clean of makeup as well as the day’s dirt and debris. The organic formula emulsifies into a silky oil once in the palm of the hand and leaves soft and hydrated. 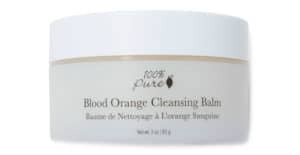 Our one concern is the presence of Blood Orange essential oil that may be sensitizing to skin types. Luckily, the amount seems small and the cleanser is a rinse-off one. In all honesty, we don’t recommend either chemical or physical exfoliant cleansers. As we mentioned above, the grains in physical exfoliant cleansers often damage the skin by creating tears. The reason we don’t recommend chemical exfoliant cleansers is a little more complicated. Most chemicals like glycolic, lactic acid and salicylic acid need to be left on the skin for a long enough time period to penetrate (on average 5-10 minutes or more dependent on strength). Herein lies the problem: Cleansers have other ingredients like detergents that shouldn’t be left on the skin for that long. Instead, we recommend leave-on chemical exfoliants. These have been formulated to have longer contact time with skin. What’s the big deal with chemical exfoliants, you ask? Well, they help fight the signs of aging by removing the top layers of the epidermis where the dead and dull skin has built up, reducing fine lines and wrinkles, uneven skin tone as well as helping to clear out pores and help heal blemishes. They allow for hydrating ingredients in other skincare products to reach deeper into the skin. As environmental factors and products can build upon our skin, cleansing morning and night is dependent on your lifestyle routine. Although cleansing at night should be a must to remove impurities from the day, some people prefer to only rinse their face with water in the morning if they haven’t used anything on their face at night. Those who use anti-aging products at night may prefer cleaning twice a day, though. In either case, make sure not to over-cleanse – two times a day should be the maximum for most lifestyles; more then that can strip the skin and disrupt the skin’s natural barrier function. Wash your hands before washing your face to keep any environmental factors and bacteria you may have picked up from reaching your face. In general, be sure to avoid extremes when it comes to water temperature – both hot and ice-cold water can irritate skin. As a rule of thumb, lukewarm water is best for cleansing. When doing your cleanse, it’s best to think of massaging the cleanser on for 30 – 60 seconds, as the rule of thumb, maximizing effectiveness. Either apply your cleanser to your cleansing brush, cloth or device or use your fingertips to gently massage your skin with circular motions (don’t pull your skin!) to work the cleanser into the skin, rather than aggressively rubbing or using an up-and-down motion. TO USE A CLEANSING DEVICE OR NOT, THAT IS THE QUESTION. Cleansing devices provide an extra level of exfoliation, maximizing the effectiveness of the active ingredients in serums, creams and other skincare products. Generally, we recommend using a cleansing device, just once at night (not twice a day) to prevent over-exfoliation – though, for some skin types, this even might be too much, so limiting usage to 2-3 times a week may be a good choice. 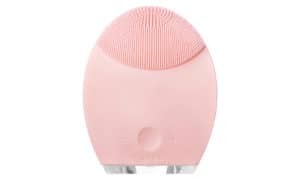 One of the most well-known cleansing brushes out there cleans the skin deeply by way of brush head that vibrates (not spins) at extremely high speeds (300 oscillations every second). Why skip on a spinning brush? Well, spinning brushes can actually irritate the skin. The brush comes with 2 intensity for the type of cleansing (gentle, every day) as well as a variety of brush-heads that can be customized for skin type. Combining anti-aging with cleansing is a unique proposition of this cleansing aid that focuses on one type of device per skin type (multiple skin-types from sensitive to oily). 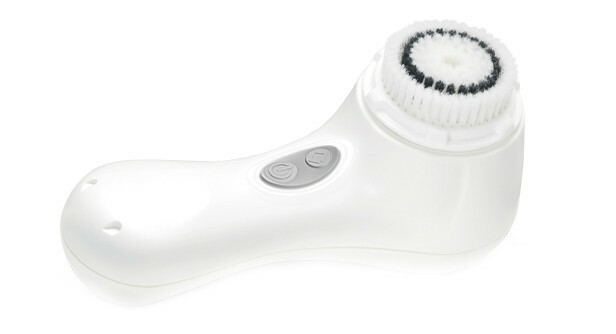 With over 12 intensities, the brush side concentrates on deeply cleaning through pulsating, while the “massager” concentrates on helping skincare products penetrate better. Generally different anti-aging cleansers and skincare routine are needed day and night dependent on lifestyle – use the below as a guide. As mentioned earlier, some people feel that they don’t need to cleanse in the morning and rather just splash with water. For the rest of us, use the anti-aging cleanser that best suits your needs for the morning – remember it’s key to pick one that won’t over-dry and over-strip, especially if you’re using it twice daily. Did you know there are anti-aging serums that work better for the day than for the night? 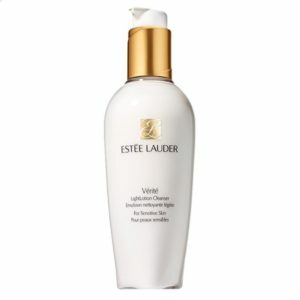 The ones that are recommended for day use help support sun protection agents, maintain radiance and even out skin tone. Check out our guide to learn more about the most effective anti-aging serum for your aging concerns. Anti-aging creams are heavier then serums and help maximize hydration levels. The best ones come with a variety of beneficial ingredients. Read more about the benefits of anti-aging creams in our in-depth overview. Besides being nutrient-rich, anti-aging facial oils help skin seal in moisture. Oils should be applied after serums and creams but before sunscreen as they create a barrier. If you’re interested in learning more, check out our guide to the best anti-aging facial oils for your skin. Last, but definitely not least, we cannot stress enough the anti-aging benefits of a good sunscreen. Curious why it’s so important? Explore our guide to anti-aging sunscreens that work, it covers ingredients to look out for, what they actually do and also why you need one. Did you know that most types of sunscreen, as well as some types of makeup, require oil to be fully removed from the skin? If you’re not a fan of the pre-cleansers, traditional makeup removers work just as well. Check out our guide on a DIY anti-aging makeup remover to discover a simple homemade formula. At night, rather than just refreshing your skin, an anti-aging cleanser is a secondary defense to removing the environmental stresses of the day. It also helps prepare the skin for the effective penetration of the rest of your anti-aging routine, including serums and creams. Serums used at night, often contain ingredients that are sensitive to light such as retinol – that provide powerful anti-aging benefits that target concerns like fine lines and wrinkles – and are supported by the skin’s natural regeneration process that happens when you sleep. Discover the most effective anti-aging serums for your aging concern in our article. If you’re interested in exploring more about the anti-aging miracle worker vitamin A, we have coverage on both retinol (the more gentle form), as well as retinoic acid (commonly known as Retin-A and Renova). Although not everyone needs the intense moisture boost that most anti-aging night creams provide, a good one will help with skin rejuvenation, increase cell turnover but won’t be so heavy that it interferes with the skin’s natural barrier. To learn more about ingredients to look out for in an anti-aging night cream read our guide. Surfactants are the part of the cleanser that cleans. While having cleansers that leave skin squeaky clean may seem like a good thing, they may include harsh surfactants that can actually damage the skin. These ingredients are derived from the likes of coconut and jojoba are not only known to be gentle but also all natural as well as provide a deep cleanse. Unlike plant-based cleansing agents, these ones are petroleum-derived and are often used as they are inexpensive but they can irritate, over-dry and lead to damaged skin. Humectants are key when it comes to preventing the over-drying effects of cleansing on your skin. 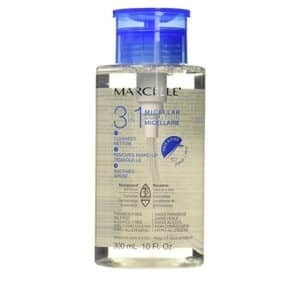 With its ability to hold more than 1000 times its weight in water Hyaluronic Acid makes for one great hydration agent. Not only does Glycerin help retain moisture levels but it also helps heal as well as repair the skin. If you need a moisture boost for your skin, emollients are a good way to go – they help prevent water loss in the skin, keeping it hydrated. If you’re prone to breakouts, avoid emollient rich formulas altogether. Nutrient-rich oils help nourish the skin but also help the skin’s barrier function well by helping to seal in moisture. Oils are made up of fatty acids such as oleic and linolic acid. When choosing an anti-aging cleanser go with one that is lighter (usually more linoleic then oiliec), otherwise it may interfere with the rest of your anti-aging routine by preventing ingredients in serums and creams from penetrating properly. 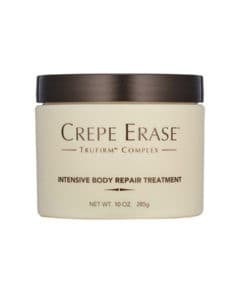 Made from a mix of skin-repairing fatty acids that help prevent moisture loss and repair the upper layers of the skin. Extracted from the African shea tree, provides a rich moisture boost and is chock full of antioxidants that help to heal skin from environmental damage. Derived from the cocoa bean and containing polyphenols that help increase collagen production as well as skin elasticity, works well for those with dry skin. Often used since they are cost-effective and for their long shelf-life. These types of ingredients have no nutrient value and have been shown to be toxic. Although it would be nice to avoid them completely, since many anti-aging cleansers have them, try and use ones that have minimal levels of them. Certain ingredients make your skin more sensitive and this can result in irritation, inflammation and lead to the signs of aging. Commonly appears on label as: Isopropyl Alcohol, SD Alcohol 40 and Ethyl Alcohol. Although the debate is still out on the effects of bad alcohols, we’re of the belief that they are not only drying, but also potentially irritating, as they skip the skin’s natural barriers. Again, like mineral oil-derived ingredients, bad alcohols often can’t be completely avoided in formulas; just try and pick ones that have limited amounts. On the other hand, good alcohols, often called fatty alcohols, are non-irritating and are actually beneficial by helping boost the skin’s moisture levels. Commonly appears on label as: Citrus Pils, such as Limonene and Lavender Oil. Essential oils, often used for their scent as well as their nutrient-rich value, are potentially irritating to the skin resulting in inflammation and rashes. In particular, it’s important to avoid the ones like citrus oils and lavender oil, as they are phototoxic meaning they increase the effects of the sun/sun damage. Although many anti-aging cleansers manage the amounts correctly in order to avoid sensitivity, we still recommend avoiding essential oils completely or at least using those with limited amounts. Although it may be commonly known, many good anti-aging cleansers still contain fragrance to mask the ingredients normal smell and create a pleasant sensory experience. It’s wise to try and avoid them or limit the amount used, as they irritate and commonly cause other negative reactions. Although it may seem unimportant, cleansing the skin provides the base for the rest of an effective anti-aging skincare routine. Without it, active ingredients found in the next steps may not be able to penetrate the skin effectively.